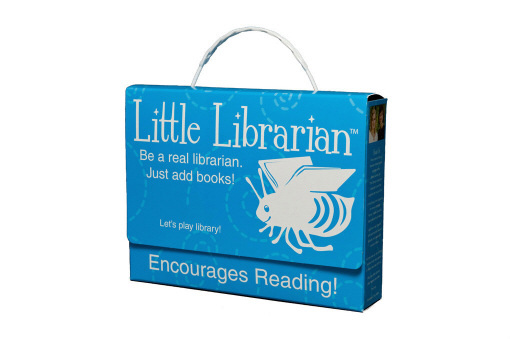 "Little Librarian provides book lovers with everything they need to transform their book collection into a library. Kids can practice the important skills of organizing, sharing, borrowing, and returning. 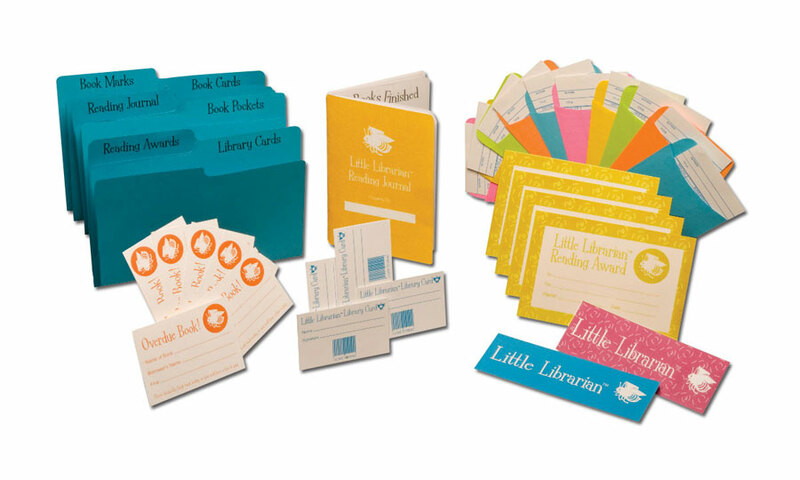 Book pockets, check out cards, library cards, and bookmarks are just like the ones from the real library. 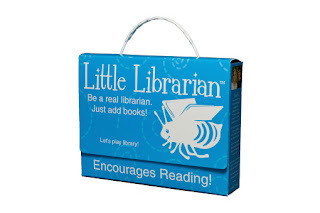 Little Librarians will issue overdue notices and awards. Favorite books can be stored in the reading journal and shared with friends." I'm pretty sure adult me would be all over it too. This is amazing. Who says you have to be "little"?! Chachic - I am in love to say the least. Nomes - Seriously. I knew we were friends for a reason. I love it that you got a librarian to give you old card catalog stuff. Brilliant!